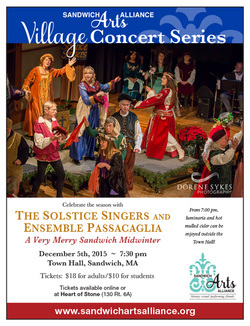 ﻿﻿﻿The Sandwich Arts Alliance continues the inaugural season of its Village Concert Series on December 5 with a special seasonal performance by the Woods Hole-based Solstice Singers and Ensemble Passacaglia. Join us for the event, entitled A Very Merry Sandwich Midwinter. Sure to delight audiences of all ages, A Very Merry Sandwich Midwinter will celebrate the season and transport the audience to another time, weaving together Medieval and Renaissance songs, poetry, drama, instrumental music and dance, all presented in colorful period costumes. The Solstice Singers sing a cappella, or accompanied by Ensemble Passacaglia. 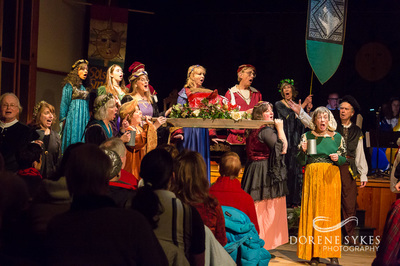 Passacaglia will also perform many of its own pieces on period instruments including lute, recorder, crumhorn, viola da gamba, and an array of percussion instruments. 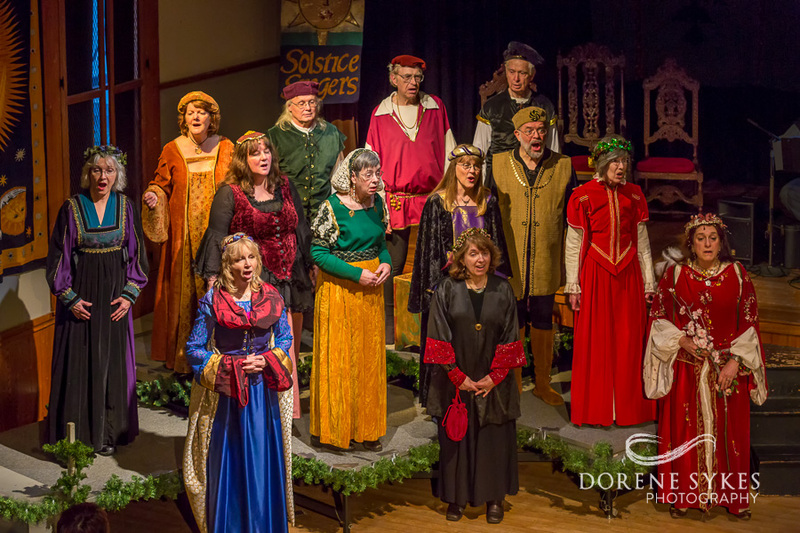 Founded in 1992, and under the musical direction of Lore Loftfield De Bower, the Solstice Singers have performed widely in New England, but this will be their first appearance in Sandwich. 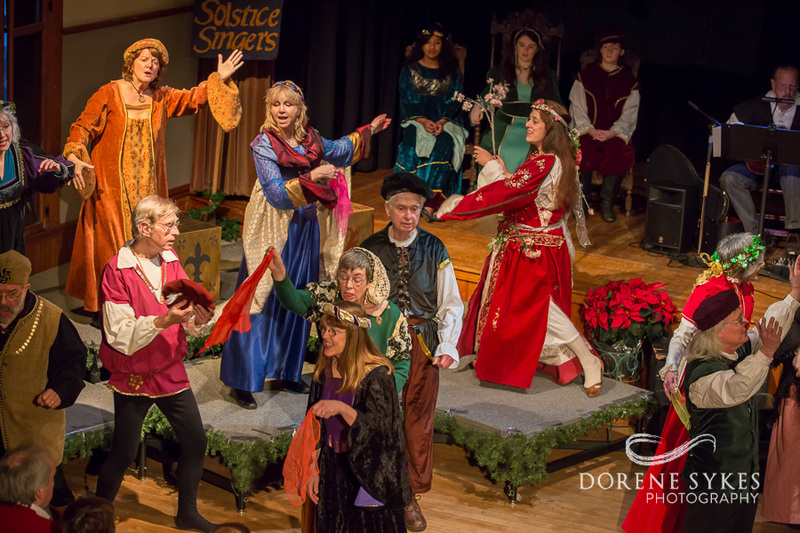 Members of the ensemble come from the Cape and Southeastern Massachusetts. From 7:00 pm, luminaria and hot mulled cider can be enjoyed outside the Town Hall.